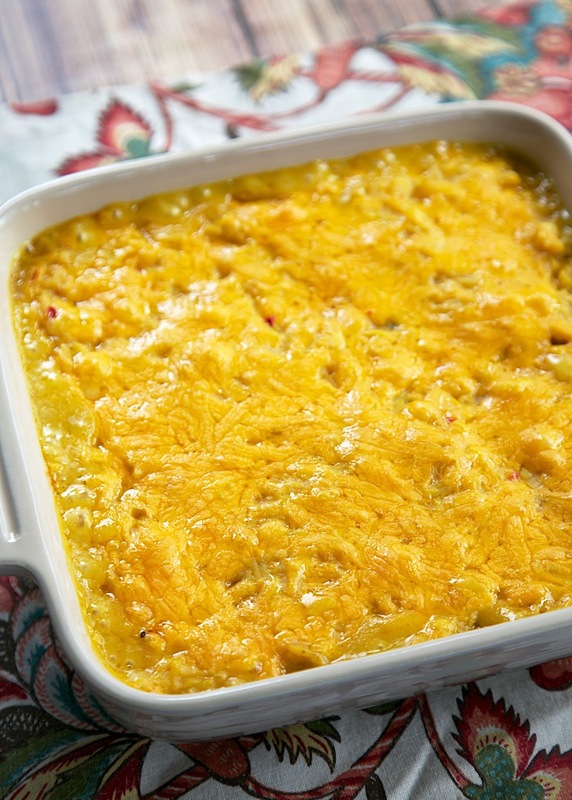 Corn and Rice Casserole Recipe - only 4 ingredients! Corn, Rice, Soup & Cheese. 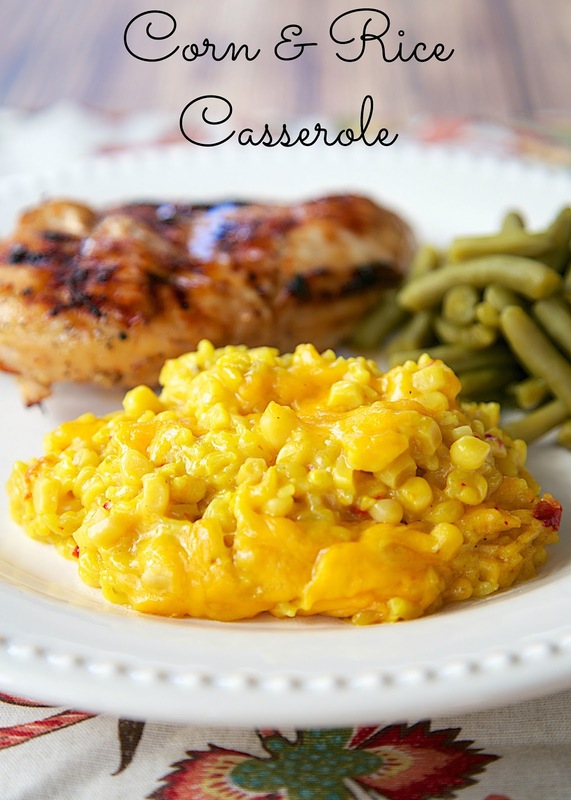 It is THE BEST corn casserole I've ever eaten! Can be made ahead of time. Quick side dish recipe! This is THE BEST corn casserole I've ever made. It is SOOO good. Seriously! Chicken Legs and I both absolutely loved this. I couldn't believe how great it was because it only has 4 ingredients! Four! How awesome is that?! We served this with some yummy grilled chicken and green beans. The Corn and Rice Casserole was the star of the meal. I could have actually eaten it as my meal! It was that good. This has become a family favorite. If you are short on time, this could be made ahead of time and refrigerated or even frozen. It is already back on our menu this weekend. YUM! Cook rice according to package directions. Mix together rice, corn, 1/2 cup cheese and soup. Place in pan, top with remaining 1/2 cup cheese. Bake for 20-30 minutes, until cheese is melted and bubbly. Oh! That sounds perfect for the holidays, too! When trying to pin this recipe, I get message that link is blocked as it leads to spam. Would love to "pin" it. I got the issue resolved with Pinterest. You should be able to pin it now. Just made and it is awesome! The only thing I was unsure of was the can size of the mexicorn (5oz or 11oz). Thank you for a great recipe! VDC - I didn't realize there were different sizes of Mexicorn. I am sure I used the 11oz can. I will update the recipe. So glad you enjoyed it!! What is yellow rice exactly? It is in the rice isle and says "yellow rice" on the package. I used a package of Mahatma Saffron Yellow Seasonings & Rice. I can't tell what size pan you used here? It looks like bigger than 8 x 8, but not as big as 9 x 13! Thanks so much! oh this sounds amazing!!! I can't wait to try it! Was thinking about doubling the recipe for Thanksgiving. Has anyone tried doubling? What kind of chicken soup? One of my favorites! I just made this for a Memorial Day cookout. So easy & delicious! Is that Mexicorn in your picture? Mexicorn is 11 ounces per can. Regular corn is 15.25. With so few ingredients I was skeptical....but this was really delicious. I couldn't find the same brand of rice you used but found knorr brand yellow rice with their other packaged rices. Thank you!